CHECK OUT OUR SIGNATURE PEDICURES IN THE TAB ABOVE! We now offer full body hot stone relaxation massage! 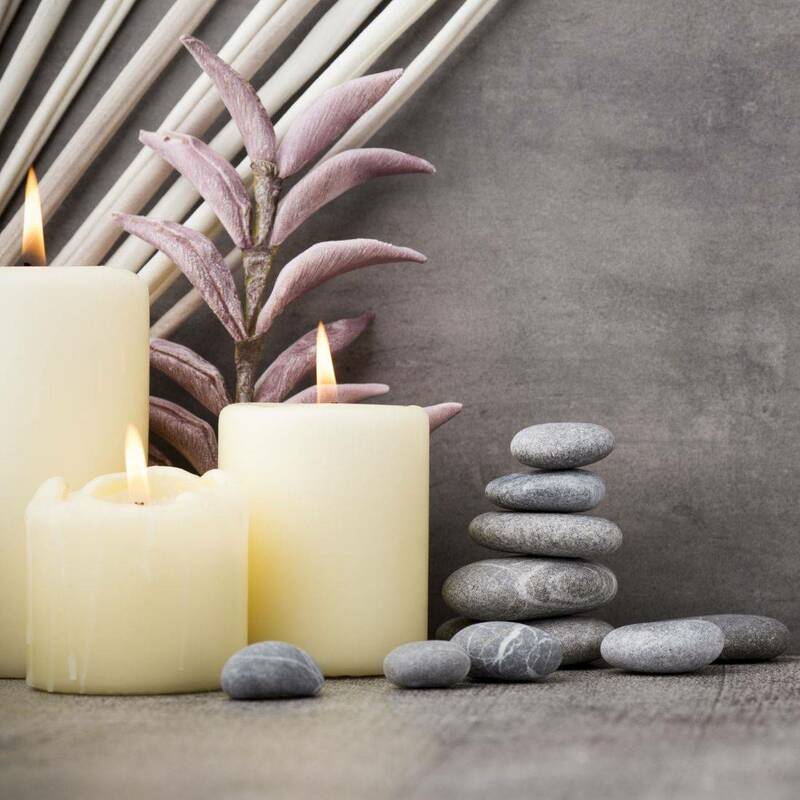 A relaxation massage helps eliminate stress and loosen up your body and is great for those who have had a hard working week or feel like treating themselves to some TLC! This massage treatment consists of flowing strokes, kneading and gentle manipulations of the muscles performed at your chosen pressure and your choice of finishing off on the back, front arms or scalp massage for full relaxation. Try out our express Manicure and Pedicure service. Since we are located inside the Best Western Port O' Call Hotel many are catching a flight or simply on the go, which is why we offer express services! Express Manicures and Pedicures are a great way to save time and are a wonderful treat to pamper yourself or a loved one with. Transform your face with a relaxing facial. We use the latest and most premium products to help restore your natural skin and help you get that natural glow! Our youthful Deluxe collagen facial has been our #1 Top seller! It helps reduce fine lines, brighten, tighten and moisturize the skin to give you a natural glow! Like any facials it requires maintains to see proper results along with having the benefits of our products kick in however we can most certainly garuntee the happiness of our clients as they can see results in just one treatment! As everything is collagen and rose based your garunteed tighter, firmer and brighter natraul glowing skin in a few sessions. We start off by having our clients lay under our facial steamer to help open up the pores, we then massage the face with our collagen cleaner to clean any left over make-up, oils and daily dirty. Working our way to the neck with our vitamin E facial scrub booster will not only exfoliate but provide a youthful glow, we follow this along with our full top of the line OLEHENRIKSEN Orange and sugar facial exfoliant treatment to provide a deeper cleaning. Not to mention our smooth and silky Almond mask that restores the face from any dryness and clients dealing with rosacea. We after extract any black heads from the nose along with other areas along the way. 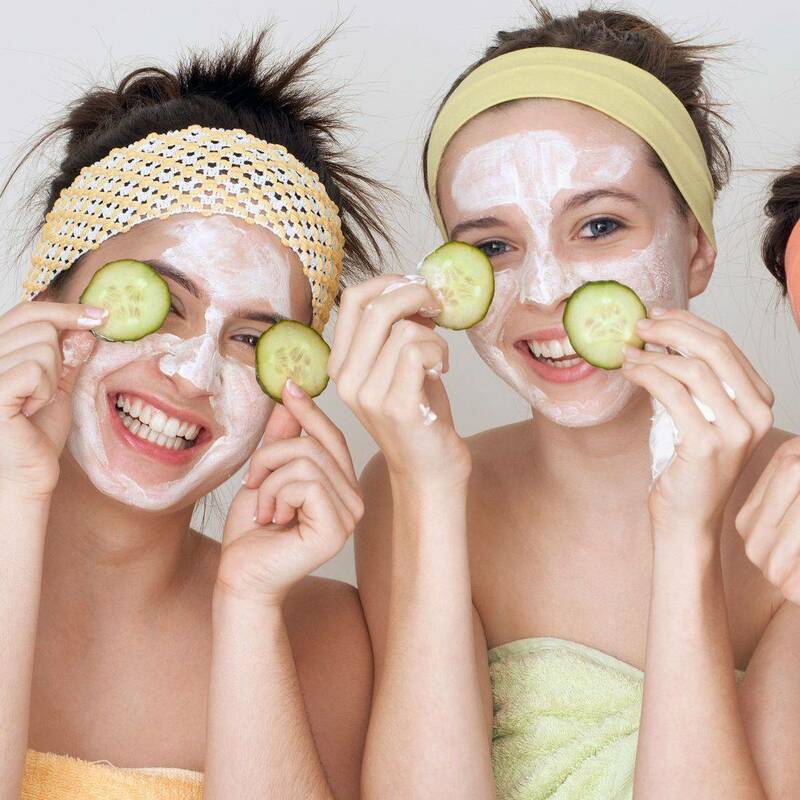 We follow it up with our natrual rhubarb mud mask to help brighten and mostly tighten the face and clean out any clogged pores and dirt, while the mask is setting we will get rid of those dark under eyes with our cucumber vitamin infused eye mask treatment. We after wrap the face with our warm towelette treatment to give the face time to balance and to feel refreshed. Once the face has settled nicly from the rhubarb mud mask, we preform our top of the line Retexturing Mask with Rose Clay. The Rose in this mask is the most beneficial treatment when it comes to the aging of skin as it is known for it firming properties and mositurizing with its gentle touch. We lastly perform a cold flash treatment to help stop the process of aging and any breakouts. We encourage all of our clients to keep a strict schedule of washing their fce every morning and night with ice cold water as it is known to stop the aging process along with breaking out for a client that may have very sensitive skin. The best part of our facails is hat it has been created all for sensitive and normal skin types which will be worry free for our clients! Once we have preformed the cold flash treatment we then after tone the face with our collagen toner and collagen facial cream to help restore moisture back to the face along with our collagen under eye patch cream! We target areas that have the most tension and provide a deep and relaxing massage throughout the face and the neck along with the full shoulder and arms with pure essential oils to provide a natrual based and relaxing enviornment for our clients. Our aesthetician will finish it off with our Limited edition Rose water facial mist from France to restore balance to the face and have all the produts sealed in. We use the most premium of products on our clients which is why it's important we bring the latest products for sensitive and youthful skin. Our brightening and tightening rose clay facial is an excellent choice for clients suffering with dark spots, dark under eyes and loose skin as it helps brighten and tighten the face while balancing out the skin to provide it with moisture. This facial includes our top of the line OLEHENRIKSEN Orange and Sugar exfoliant treatment using an exfoliating machine to remove dead skin and to provide a deeper cleaning. We then will use a vitamin E facial booster to restore the face and provide a natural glow. Our aestheician will be prepping the face for the Rose Clay mask from Paris with many of our step by step procedures and products and will also be prepping the under eyes with our refreshing cucumber vitamin infused eye mask to ensure that the serum with soak through and help reduce the appearance of dark under eyes. This facial will also be including a warm towelette treatment along with our facial steamer to open up any clogged pores and help the black head removal extraction process if you wish to add this service to your facial. 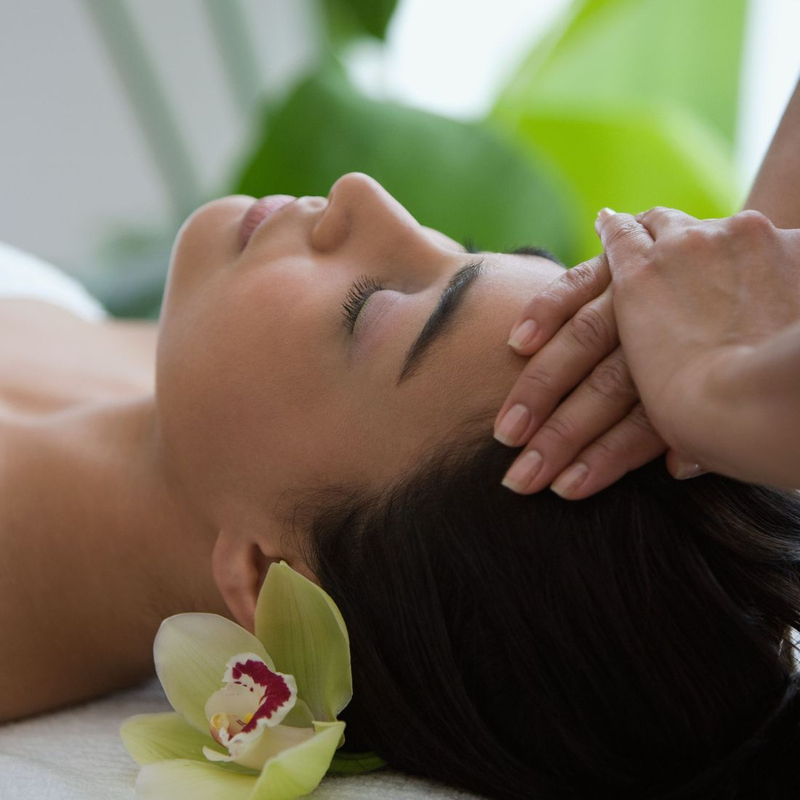 We target areas that have the most tension and provide a deep and relaxing massage throughout the face and the neck. We finish it off with our wonderful Limited Edition Rose Water extract from france to give you a boost of energy and balance! Our Wonderful and deep cleaning Charcoal facial opens the pores and cleans out any blackheads and dead skin residue you may have. leaving you feel exfoliated and refreshed! This facial includes our top of the line OLEHENRIKSEN Orange and Sugar exfoliant treatment followed by our exfoliating machine to remove dead skin and to provide a deeper cleaning. Our aesthetician will then use a vitamin E facial booster to restore the skin and provide an extra and deeper cleaning of the pores. During this process we will be prepping the face for the Charcoal mask from Paris with our step by step procedures and products and will also be prepping the under eyes with our refreshing cucumber vitamin infused eye mask to ensure that the serum will soak through and help reduce the appearance of dark under eyes. We will also be using a warm towelette treatment along with our facial steamer to open up any pores and help the black head removal extraction process if you wish to add this service to your facial. We target areas that have the most tension and provide a deep and relaxing massage throughout the face and the neck. finish it off with our wonderful Limited Edition Rose Water extract from france to give you a boost of energy and balance! Our latte facial is known to tighten the skin until firm and help clients dealing with oily and acne prone skin. It is full of Antioxidants and is known to treat any skin inflammations. This is the #1 facial for a client suffering with more oily or acne prone skin and is looking for a facial specifically targeted towards this. We will prep and analyze the skin to guarantee the best results. This facial includes our top of the line OLEHENRIKSEN Orange and Sugar exfoliant treatment followed by our exfoliating machine to remove dead skin and to provide a deeper cleaning giving our aesthetician a clean canves to start working on. Our aesthetician will then use a vitamin E facial booster to restore the skin and provide an extra and deeper cleaning of the pores. During this process we will be prepping the skin for the latte treatment which is known to not only dry out the oiliness but to also firm to the skin. This amazing treatment will not only stop the process of aging as it is known for firming the skin along with tightening loose areas especially the neck which is the number one most affected area of aging, it will also help target clogged pores and do its job of absorbing the oils. Once the treatment is setting we will place our Cucumber vitamin infused under eye serum to help firm with the process of the mask. We will also be using a warm towelette treatment along with our facial steamer to open up any pores and help the black head removal extraction process if you wish to add this service to your facial. We would recommend this mask for clients that suffer from oily skin as our latte treatment is known to dry out and tighten the skin. Our Latte facial also helps improve the skin complexion for clients suffering from acne or even acne scars along with any other breakouts! But in the last couple of years it also became clear that a turmeric is very useful to fight acne and dark spots along with discolouration due to much sun exposture. This facial includes our top of the line OLEHENRIKSEN Orange and Sugar exfoliant treatment using an exfoliating machine to remove dead skin and to provide a deeper cleaning. We then will use a vitamin E facial booster to restore the face and provide a natural glow. Our aestheician will be prepping the face for the Tumeric paste to be applied. With many of our step by step procedures and products we will also be prepping the under eyes with our refreshing cucumber vitamin infused eye mask to ensure that the serum with soak through and help reduce the appearance of dark under eyes. This facial will also be including a warm towelette treatment along with our facial steamer to open up any clogged pores and help the black head removal extraction process if you wish to add this service to your facial which would be very beneficial when getting this specific facial as were looking to mostly clean our and provide natrual glow. 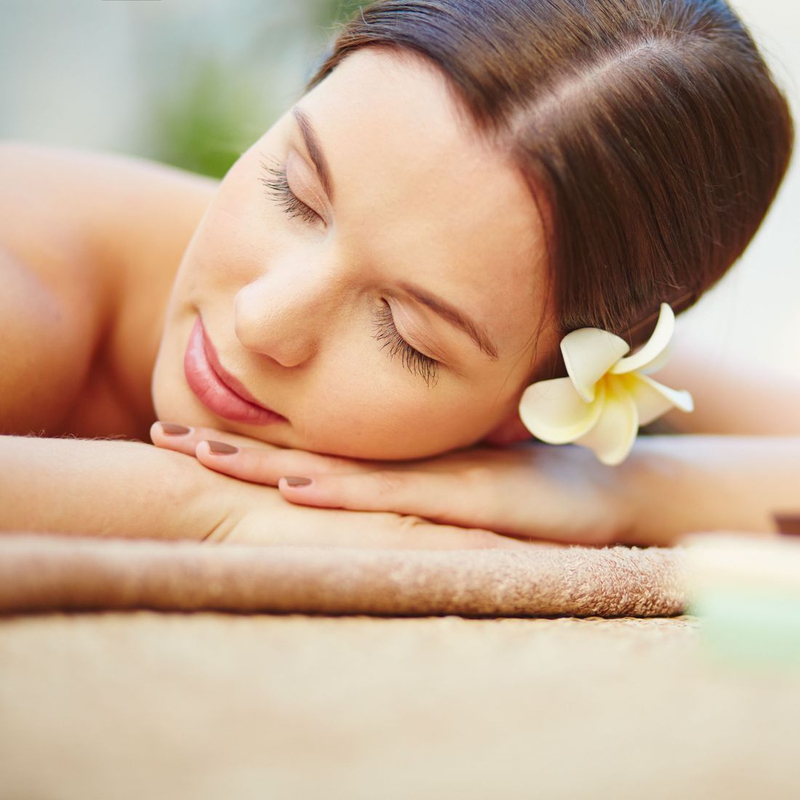 We target areas that have the most tension and provide a deep and relaxing massage throughout the face and the neck. We finish it off with our wonderful Limited Edition Rose Water extract from france to give you a boost of energy and balance! Our Esthetician will prep and cleans the area that's being waxed, examine your skin, trim any hairs and wax the necessary areas! After the process is complete we apply a cooling gel to calm and refresh the skin. Our Luxurious Spa Manicure ( Clean up Manicure) or (luxurious shellac Manicure) includes a warm hand soak, and an arm massage that helps circulate the blood flow. We offer the latest trends such as chrome nails or our new magnetic cat eye along with our full glitter dips that give you the classic touch! This package also consists of shaping the nails, cuticle care, prepping of the nails and also your choice of one of our wide variety of nail polishes! And for easy, fast and instantly dry nails try out our shellac gel polishes! Our Luxurious Spa Pedicure and our Luxurious Shellac pedicure includes the best foot treatment and all in the relaxation of our comfy pedicure chair! This package includes a warm foot soak in our whirlpool foot bath with a wonderful peppermint foot scrub and our cleansing flower petals! We provide detailed nail shaping, cuticle care, heel care, along with our ICE Mineral foot mask to help remove roughness and dead skin along with providing moisture for cracked heel for clients suffering with dry and rough feet. Not to mention one of our best hot stone leg massages with our Stress Relief and victoria secret lotions and much more! Followed by your choice of our wide variety of nail paints! Express Manicures on the go! Our Express Manicure is an excellent way to pamper yourself if you're in a rush! This service includes detailed nail shaping, pushing the cuticles and our relaxing arm massage with our Stress Relief and victoria secret lotions and much more! followed by a wide selection of nails paints including shellac gel polishes! Express Pedicures on the go! Our Express Pedicure is an excellent way to pamper yourself if you're in a rush! This service includes detailed nail shaping, pushing the cuticles and our relaxing foot massage with our Stress Relief and victoria secret lotions and much more! followed by a wide selection of nails paints including shellac gel polishes! This rose themed Manicure package consists of our rose hand scrub to get rid of the dead skin on the surface along with dry patches and leaves your hands feeling smooth! We provide cuticle care, nail shaping, and our recovery rose hand cream for suffering dry skin and our rose body shimmer oil to lock in all the moisture and we finish it off with our signature rosy C&E London nail polish selection! We sell beautiful 100% A Grade Premium luxurious Human Hair clip in Extensions! These clip ins are produced in a variety of natural colours that will blend perfectly with your own hair! Clip In extensions are temporary extensions that simply clip onto your own natural hair. There are many advantages to using clip in extensions especially human hair extensions, such as having the option to play around with different colours! You're able to experiment with different styles and looks, not to mention clip ins are washable and your can take them out whenever you please! We offer two unique luxurious types of hair extensions that no other salons carry! We have designed and selected specific colours for each individual hair to perfection for the comfort of our clients. Thats why have chosen natural colours that easily blend with your own natural hair! One of the type of hairs we offer is the ponytail extensions and a three row attachment hair extensions. You simply put your hair in a high or half ponytail, then you place in the ponytail clip ins and wrap the ponytail around your own hair. This gives you full volume and length in just minutes! You're also able to use all hot styling tools as you please. The three row attachment clip ins are three hair extensions sewed into one piece! This gives you full volume and length! It looks and feels like your own natural hair! You're also able to use all hot styling tools as you please. 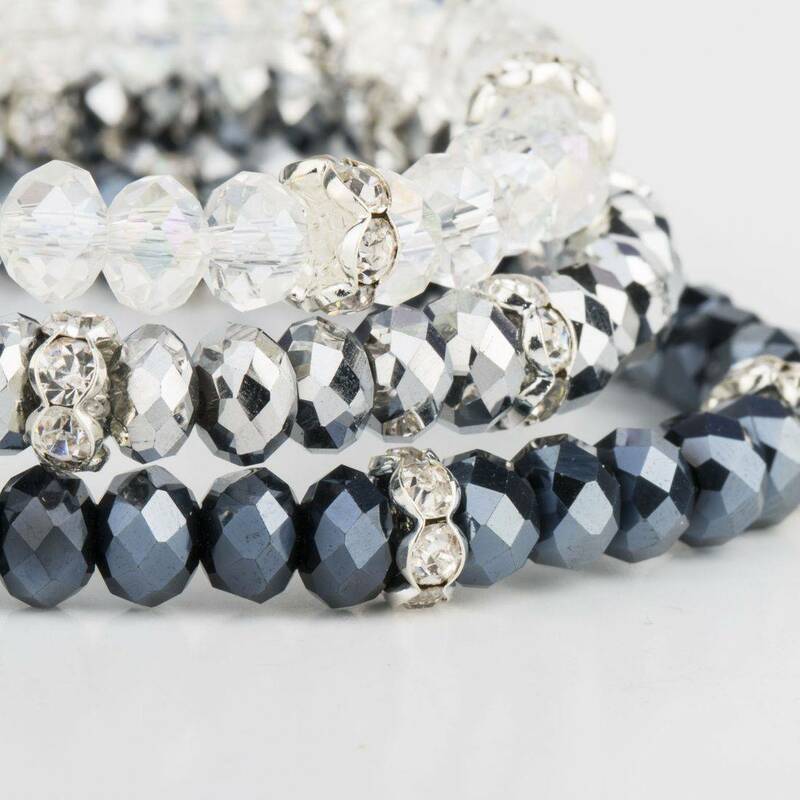 -We offer One of a kind unique italian silver jewellery with Swarovski crystals imported from Italy! along with our beautiful clutches and shoes with Swarovski crystals! -The kids manicures consists of shaping of the nails and their choice of one of our long lasting polihes! - Peach scented paraffin wax hand treatment! -This is a five layer wax that will help get rid of dead and dry skin and cracked palms as well it leaves your hands feeling silky smooth and with a wonderful smell of peaches! -Our ICE Mineral foot mask is a cooling mask that helps remove dead skin and roughness on the heels! This is a wonderful service to get done while getting a pedicure to anssure smooth heels!